Creativity Thru Connection - CTRL+CLICK CAST - We inspect the web for you! Your browser doesn't support HTML5 audio, and won't play Creativity Thru Connection with Sonja Rasula. You can download this episode to play on your preferred media device, or you can read our transcript. Is your phone always by your side? Founder & CEO of the The Unique Empire Sonja Rasula says it’s time to disconnect in order for creativity to flourish and allow stronger human connection. In the first episode of 2018, we dive into the contradictory nature of technology as it simultaneously draws us closer and further apart. We discuss simple changes that allow you to regularly disconnect from your devices, how removing devices during meetings can improve communication, and ultimately, how to nurture human connection for better work and life. Preview: The first hour that you take someone’s cellphone away, there’s a physical thing that happens where you see their hands kind of patting their jeans like, “Where’s my phone?” And like a panic, a panic comes over them. I’m sure we are all familiar with this feeling where you’re like, “Oh my God, where did I leave my phone?” And then they would just relax their arms and will remember, “Oh right I don’t have it. They took it from me.” And watching a human being go from anxiety and pain to this pure glee and happiness and like a sense of not caring and like truly being present is pretty amazing, and I don’t know if anyone listening has had that experience of being able to witness someone have that transformation, but it’s really special and I think that when you do, you realize how important disconnecting is. This episode is also sponsored by the Performance Matters Conference. 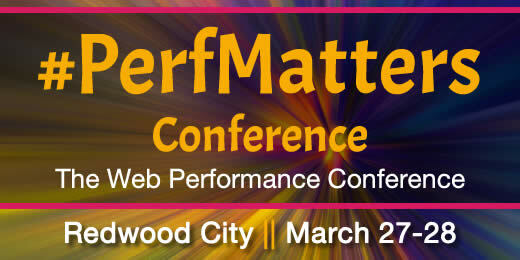 The first annual #PerfMatters: Web Performance Conference is taking place in Redwood City, California, halfway between San Francisco and Silicon Valley. This year’s conference is taking place on March 27th and 28th with a full-day workshop on March 26th, helping those newer to the web performance field get up to speed, pun intended, on everything they need to know to get the most out of the 2-day conference, featuring diverse experts in the field of web performance with three talks on accessibility and performance. Tickets are on sale now. A 50% workshop diversity discount is available to ensure the conference isn’t out of reach. Register now at perfmattersconf.com. Hope to see you there. Emily Lewis: Today’s episode is all about creativity and connection, and joining us in our discussion today is Sonja Rasula. She is the founder and creative director of Unique Markets, The Unique Space, and CAMP. She has dedicated herself to creating businesses that foster entrepreneurship, spread creative thinking and grow community. As one of Los Angeles Magazine’s top most inspiring women, we’re excited to have her inspire our listeners for our first show in 2018. Welcome to the show, Sonja. Sonja Rasula: Hi, thanks for having me. Lea Alcantara: Absolutely. So Sonja, can you tell our listeners a bit more about yourself? Sonja Rasula: Yeah, so I am an Angeleno. I grew up in Los Angeles. I am also a Canadian. Sonja Rasula: I lived there for about 15 years and so I feel like I have both the West and the East Coast in me. Sonja Rasula: I love community and have worked over the last decade at creating businesses that really foster the things that I’m passionate about, so community, artistry and pursuing entrepreneurship. Emily Lewis: Sonja, when you and I talked last year after the HOW Conference, I reached out to you because of your ties to the creative and graphic design community, but you had mentioned that you actually had an early career in web design. Sonja Rasula: I did. [Laughs] So I went to journalism school and I dreamed of being a famous newspaper writer or perhaps a famous radio personality, but instead, as fate would have it, I interned in doing non-traditional environment. I interned at a television station called MuchMusic, which was kind of like the version of MTV for Canada and I ran a website. Sonja Rasula: And so when I graduated, well, actually I did not graduate, I should throw that in there. Sonja Rasula: When I did not graduate, I got a job instantly in the online world, so I was headhunted and I never really realized that that decision was a really smart one. I just thought, “Cool, I’m done school. I’ll start working.” But unlike a lot of my fellow peers, I had a really, really successful kind of career in my 20s working online and so I started designing for the web and working with great designers and engineers and really honed all of my skills working for online. Emily Lewis: I think what’s really interesting, how did you make that move away from digital and more towards really, like you said, community and human interaction-based activities? Sonja Rasula: [Laughs] Well, it was pretty easy because for me I absolutely love technology and I love working online. I really, really did, and I still love all the new technology that’s coming out and I really thrive in online and social media, but I believe that for myself, I was also working ridiculous hours. Sonja Rasula: And I kind of didn’t have a life. Sonja Rasula: I was putting everything into online and so for me, the decision was pretty easy and I knew that in order for my health and wellbeing, I was going to have to make some sort of switch. I didn’t realize that I was going to become an entrepreneur, but I knew I needed to stop working where you work seven days a week and instead of cooking, you order out. Sonja Rasula: And shopping, you are online browsing, and I just realized there was a huge disconnect for me there. Emily Lewis: So to dive into today’s topic, let’s start a little bit with some basics. How would you define creativity, and why is it important for anyone but especially those of us in fields like graphic design or web design or even web development? Sonja Rasula: Yeah. So for me, I think creativity is the ability to think differently. Sonja Rasula: And so being creative doesn’t mean that you are an artist or artsy per se, which I think most people tend to think. For me being creative is someone who is innovative, someone who has vision, someone who can turn on a dime and figure out how to get from Point A to Point B in a way that no one else can see yet. Sonja Rasula: And so for me, creativity is crucial I think for anyone in any business, but creativity is definitely one of the most important things I think when you’re working in design and web and interactive. Emily Lewis: Hmm, I love that definition. Lea Alcantara: Yeah, absolutely, because it does, as you mentioned earlier, apply to pretty much anything and I think our web developer listeners can really appreciate that that it’s not just us designers that need creativity. 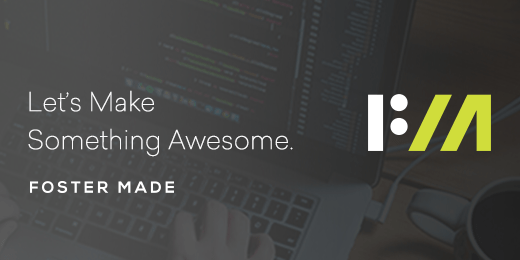 A web developer with a creative thinking mindset can look at different problems and even anticipate problems that don’t even exist yet in order to execute a solution in the first place. Sonja Rasula: Yeah, exactly. [Laughs] I feel like engineers are the most creative people out there. Emily Lewis: Absolutely, well, I mean, I think that brings up a question that that’s sort of a bit of a misconception about creativity, that it’s really just for “artsy” people. So are there other misconceptions about creativity that you think? Sonja Rasula: Yeah, it’s funny, I love this topic. In general, I was thinking a lot about it last night. I think that creative people are often or the idea of creativity, it’s often matched not being good with numbers, not being analytical, being unorganized. Sonja Rasula: Which is pretty funny because, as you know and all of your listeners know, I think that the most creative thinkers are highly organized and extremely visionary and very rigid in what they do. Sonja Rasula: They’re also very creative in what they do, but it’s not that. It’s not the idea of someone with their head in the clouds, but it’s really people who can take the visions and the dreams that they do have when they’re kind of blue skying it and then apply it and have the skills to bring those creative ideas and visions to fruition. Emily Lewis: Yeah, like there’s intention. Sonja Rasula: Yeah, and a lot of very intentional work. Sonja Rasula: And there’s a process as opposed to a painter who potentially kind of puts paint on a canvass and sometimes lets that talk back to them. Lea Alcantara: Well, it’s interesting to me, like as a designer, the misconception that art and design just happens, but there’s always a process. Lea Alcantara: That’s one of the things that I like that you mentioned, that there’s a process to creativity that it doesn’t just happen out into the ether, whether the process is simply meditating on a thought and then figuring how to convey that thought in art, but that process is the same with design. You have to think about next steps and how do you translate a particular goal into visual response, right? Emily Lewis: So in terms of creativity, how is it tied to connectivity, so human connection? Sonja Rasula: Yeah. I mean, to me, human connection is absolutely everything, and whether you are online, whether you are virtual, or whether you are in person, it’s really connection that drives and motivates us and moves us forward. Sonja Rasula: And I think creativity has a big role in that. Emily Lewis: Yeah. I feel like, just in my own experiences, especially I feel like Lea, when you and I are able to work together and collaborate on something, just the process of that adds something to the creative solutions that come up, not even for making just a website, but what occurs to me is a recent sales proposal you were putting together in how we could be creative in terms of using this client’s budget. Emily Lewis: And so that process of being able to connect with another person to kind of round ideas off, I think certainly can drive creativity, and I would imagine it would increase as you interact with more people. Sonja Rasula: Absolutely. I think that everyone can agree, hopefully, that if you work in a silo, you’re not really going to produce a lot of great work and may go insane. Sonja Rasula: I feel like you have much more of a chance to come up with a solution to problems through conversation and connectivity, and so you can try to work by yourself if you’d really like, but at some point, I think it really is about human connection and working with others and having a community, and to me, that’s usually when my best work happens, and all the examples I have around me of other entrepreneurs, we all have great communities around us and that’s how we’re able to create great work. Lea Alcantara: So what I think is interesting about this topic, so we’re already hammering the point home that connection is important and you kind of hinted that technology is there to help us better connect with others. Lea Alcantara: But does it? Sonja Rasula: Great question. [Laughs] Yeah, I mean, of course, it does. The three of us are able to have this conversation because of Skype and use of software that’s available that connects the three of us. Sonja Rasula: And so that’s an exciting thing and the time that we live in is just so incredibly exciting to me because of technology and what it’s able to offer us. However, I also think we are living in a very, very interesting time. There’s a whole generation of people now who have been raised on technology. So I don’t want to assume the ages of your listeners, but I am not one of those people. [Laughs] And so it’s a new world and I think that stepping back and stepping away from technology is going to be very, very important. If I had to step away from it for my wellbeing, I can’t imagine what like kids are going to have to do or when they’re going to start implementing that. Sonja Rasula: To me, I think a conscious removal of technology is very important for individual’s success in anything, but especially in life. Emily Lewis: Yeah. And even if it’s not a conscious removal, but even before you get to a point of needing to step back being much more intentional and careful about how you do use technology, I feel like we’re not anywhere near that right now. I think people are just starting to realize where some of the harms of these “harmless” social networks are showing up with not only people of our age groups in terms of discourse, but also, like you said, the generation of users who have grown up with this and how it’s harming or potentially helping their mental wellbeing. Sonja Rasula: Yeah. I mean, I think that we all can admit that most likely we have our phones right next to the bed. Sonja Rasula: I don’t know about you, but I do. Sonja Rasula: I am embarrassed and yet I also know that I’m not alone in saying that I take my phone to the restroom. Sonja Rasula: I was thinking about this the other day and I was thinking that I think that my phone is in my hand more often than not some days. Sonja Rasula: And that is a very scary kind of reality. The mental wellbeing and emotional wellbeing of what happen when you are constantly connected, so called “connected,” I think is negative potentially. Sonja Rasula: And I think that finding ways to become unconnected is really important and also finding ways to connect live and in person with people is going to be increasingly important in the future. Lea Alcantara: I think the point is that just because you’re connected doesn’t mean it’s a deep connection. Lea Alcantara: And I think our society is still trying to figure that out. I think the danger with the way we’re connecting with technology right now is that shallow connections feel like they’re “real” connections, and they’re not. Lea Alcantara: They’re just simply not. It’s why there’s this Twitter fights or whatever or Facebook comment threads that just devolve into arguments, and when you stop and think about it, would you say the same language or behave that same way if you’re staring at that person’s eyes? Sonja Rasula: Oh yeah, no, never, never. Emily Lewis: Yeah. I think that’s an excellent point, and Lea, you make an excellent point and I couldn’t agree with you more, but I also think shallow connections in areas like exposure to art or exposure to film or some kind of prose that you can get through these sort of shallow connections, that in itself can also push creativity because it’s exposing people to some things they might not have ever seen. Emily Lewis: I think it all comes down to we all need to learn how to be smarter when we’re connecting, like go and do it like with our eyes wide open of what we’re dealing with and try and not fall into the traps of assuming a deeper connection with something that isn’t there while still getting the benefits of the overwhelming amount of information that you can get access to through those superficial connections. Emily Lewis: So sort of disconnecting from the technology in order to connect, I am curious, do you have any thoughts, Sonja, about how technology really does help us be more creative or how it makes us less creative, like where the pros and cons might be to help us kind of be smarter in using it? Sonja Rasula: Well, it’s interesting because there have been so many apps that have created to help people be more efficient and to plan their time better, and to communicate with teams better, and yet I also think it creates a lot of noise. Sonja Rasula: So it’s similar to kind of what you were just saying, which is that I believe that you have to take everything with a grain of salt, and my team loves and uses Slack, for instance, but it’s very easy to start posting personal stuff within channels that are supposed to be work, you know? Sonja Rasula: So I used that medium, which is interesting, [laughs], it’s like oversharing, like I don’t know, do they need to know that I tried to make banana bread for them? Who knows? Sonja Rasula: I think that [laughs]… I don’t know, it’s so hard because I rely on technology as do all of us so much, and so for someone who loves technology, and especially from a design standpoint, being able to use a photo app on my phone and so quickly and efficiently edit photos in I would say 10% of the time that it would have taken me previously logging onto my computer, editing the photos that way, technology has been such an amazing asset really. Sonja Rasula: But then I think it’s knowing the balance of work and life. I think that is truly where I kind of have this separation of state. Sonja Rasula: And so, in general, the population is using apps and technology all the time for personal life or living, and I guess that’s okay, but is it convenient to look up a recipe on your phone in less than 30 seconds? Absolutely, but I also think that there is something to be said for purchasing cookbooks and having cookbooks and doing it that way too. Sonja Rasula: So I don’t think there is really a good or a bad, I just think that it’s understanding where technology and where all these things can help us in our lives and knowing when to step away and trying to walk outside and breathe fresh air and look at something that’s not within a foot of your face. Sonja Rasula: Yeah, I think so. Lea Alcantara: I’m addicted to Instagram. I use it for inspiration and just peeking into people’s lives and all those types of things. Lea Alcantara: But when you are someone like that, when I follow a lot of fashion blogs and entertainment people, you start to notice a lot of sameness. Lea Alcantara: So one way that technology can make us less creative, so we have all these tools to do whatever we want, like you mentioned, editing photos a certain way, but what social media and technology sometimes encourage isn’t difference, it’s conformity. Lea Alcantara: And then when I notice someone actually using music I haven’t heard, it’s like, “Wow, this person is actually pushing the envelope.” It’s that stark the difference. Lea Alcantara: So in many ways, I do believe that technology, until people master it, encourages conformity more than creativity. Lea Alcantara: What do you think about that, Sonja? Sonja Rasula: There are a few different styles that are popular on Instagram, so it’s not just one, you know? Sonja Rasula: Where it’s like so much color all the time, and then there are very stark white background. Sonja Rasula: We could probably come up with a chart if we wanted to. Sonja Rasula: And that’s kind of the point is that we could probably say, “These are the ten archetypes of a successful Instagrammer or a successful YouTuber,” and that is a problem because then it’s no longer about creativity and diversity. Sonja Rasula: And it’s actually kind of just giving us the same old same old, and what’s actually even worse, what’s dangerous is that it’s projecting, because I believe that social media, it’s easy, we call it social media, but I believe it’s the media. Sonja Rasula: I just checked the other day how many followers The Village Voice in New York has, and I basically have the same amount of followers on Instagram, and I was shocked. Sonja Rasula: So when big media companies that have been around forever no longer have the same influence and the people that have influence and have readership are YouTube and Instagram stars, that’s exciting to me because that is democracy and it’s a new form of media and new voices. Sonja Rasula: But what you were just saying is also what is beginning to happen, and kind of the sad thing about it, which is that then everyone becomes the same old same old. Sonja Rasula: And all of these kids and all of these people around the world who are formulating their ideas about the world in creativity and love and hate and all of these things, they are watching us the same way we used to read newspapers or watch the news at night, and so I do think that there is something to be said for it. I believe that there’s a lack of diversity now on all of the kind of social media channels and that everyone conforms to be popular. Sonja Rasula: And I think that’s a very dangerous place to be. Emily Lewis: I think that same idea we see it in the web. Emily Lewis: I mean, we’ve talked about it before that website, every Bootstrap site ever, they all look the same. Emily Lewis: Or how many of the same WordPress themes are everywhere. Emily Lewis: And how there’s a value to those because in a way they sort of democratize websites for people who want to kind of bootstrap themselves and get things going, but in branding and trying to stand out and really building and growing a business, same-same is not going to get you very far. Sonja Rasula: Yeah, it’s interesting. It’s like whether it’s – and I’m not going to name any names, but it’s like whether it’s an eyeglass company or a mattress company or a makeup line, they all are using such similar things. Sonja Rasula: And like from a design perspective, part of me likes that in general the masses seem to be understanding what good design is now. Sonja Rasula: And that would be funny and potentially amazing. Sonja Rasula: But yeah, they all look the same and it’s not to downplay on the great design that those companies are putting out because I do think that they are kind of upping the game, but because they all use the same format, it tells anyone who’s not doing that that like they’re doing it wrong, and so everyone starts to conform. Sonja Rasula: And I just think that’s so terrible and we need like a creative shake up. Lea Alcantara: Yeah. I would say part of that is because we need to take up the perspective the web is young. It’s still a young industry. It’s been around like regular license only in the mid-90’s really. Lea Alcantara: And it’s taking a long time for people to figure out how to standardize things. So in some ways, I agree with you, Sonja, like there is a raised level of design awareness, which we can only encourage and it’s great. Lea Alcantara: But the problem is that once that standard has been met, that baseline standard, what’s next? Right? Lea Alcantara: Like what is the next step for that? And I think this leads us to the great point of maybe the next step in order to find that next step is not staring at the same thing over and over in order to do that, you might need to disconnect online. Lea Alcantara: So Sonja, why don’t you tell our listeners why it’s so important for people to disconnect online? Sonja Rasula: Yeah. Well, so to have a little bit of context, I started a conference called CAMP where we would take 200 people from around the world every year up to the mountains. We would take their cellphones, any tablets, any computers, and people definitely try to like sneak things like hide them under their mattresses, in their bunk beds. Sonja Rasula: And then basically the camp counselor would take it away, which is funny, and we would actually do that, we would take things away, and so through five years of holding these conferences, I really saw what I trusted in my gut to be something that was important, which was disconnecting and reconnecting with the earth and nature and human beings in person. Sonja Rasula: And like a panic, a panic comes over them. I’m sure we are all familiar with this feeling where you’re like, “Oh my God, where did I leave my phone?” And then they would just relax their arms and will remember, “Oh right, I don’t have it. They took it from me.” And watching a human being go from anxiety and pain to this pure glee and happiness and like a sense of not caring and like truly being present is pretty amazing. Sonja Rasula: And I don’t know if anyone listening has had that experience of being able to witness someone have that transformation, but it’s really special and I think that when you do, you realize how important disconnecting is. Like collect the phones when people come to the house and they get them when they leave, there’s such a difference that happens and the conversation that happens, because no one is liking what other people are doing across the world at the same time, like it’s so mind blowing, and so I firmly believe that the results are absolutely amazing and that everyone should be disconnecting more. Emily Lewis: Is it something that you feel like, like you said, an evening is something that can really encourage some creativity or new thinking in someone or does it really need to be a longer period of time to really have that sort of real sense of not having something that you have to be monitoring all the time, but rather being more present with what’s happening in your immediate space? Sonja Rasula: We have our phones on us. We are connected 24/7, and so even to take two hours without having it by you, near you, on your body, you will consciously recognize the difference. Another example is that we have meetings all the time throughout the day and I don’t let people have their laptops now. Sonja Rasula: And that has actually made a difference, I think. It was distracting to me to have people typing. Sonja Rasula: I hate it so no longer, but I believe that it was distracting and I believe that when you take the screen away, people are more present and they’re paying more attention and are more invested in what’s happening in front of them and in the meeting, and so even that small little difference, because sometimes the meetings were only ten minutes or fifteen minutes, but I think I’ve noticed a difference, and so even something that small can make a difference. But then yes, of course, if listeners out there are willing to take a couple of days without technology and without their phones, go camping or go to an Airbnb, but don’t have your phone, like lock it away or do something with your friends where you all agree like, “For the next five hours, we won’t have our phones.” I think that people will really notice a pretty amazing positive change. Emily Lewis: At the CAMP conferences that you ran, was it that disconnection that was the appeal for attendees? Was there something really specific that they got out of it in terms of like creative exercises or tools to help them once they left camp kind of do better work or create better things? Sonja Rasula: Yeah, I mean, so the programming was all over the board, so different attendees got different things out of it, depending on the tracks that they did. So some of them came specifically to increase their business skills, whether it was photography, social media, learning how to attract investors and talk with investors. We offered classes in a very diverse range, and then there I would say only about a handful of 200 every year came because of the disconnecting from technology. Sonja Rasula: Most people were very nervous about that part. Sonja Rasula: But they were on board, because everyone knows you apply, you attend, and everything on the website said, “We are taking your phones for four days.” So everyone knew it was coming, but I do think that no matter what people signed up for, whether it was networking, education or disconnecting, every single person when they left, I believe said that the most important lesson was the disconnection, which is really interesting. Sonja Rasula: And so all those people who never really thought about it and were coming because a specific speaker was going to be there or because they wanted to go with a group of colleagues to something where they could all be learning and team building, those were the types of things that people said coming into camp that were important to them and then leaving. It’s just interesting that every single person would say, “I don’t want to turn my phone off. I’m actually having anxiety now thinking about turning my phone on because I love the freedom that I felt over the last four days, and I think that’s one of the things that is so interesting and within this conversation of creativity is that when you have access to everything and anything, in some weird way, it’s like you have access to everything on your phone. Sonja Rasula: Whatever it is that you think of, just google it right now, it’s at your fingertips, but you’re not allowing yourself the freedom of exploration and getting lost and not knowing what’s coming. Sonja Rasula: And so as adults, I believe that we’ve all created these very compartment lives where we all like to be in control, which is why we have our schedules on our phones and we can tell people whether we are asleep or not asleep through all of our apps. Sonja Rasula: We don’t like being uncomfortable and we don’t like not being in control and technology in some strange way, even though I believe it’s marketed as like the freedom to do anything you want, I think it’s actually kind of the exact opposite. Sonja Rasula: I think that creativity and inspiration hit in those moments and they don’t hit when you’re searching like what I did, like best Super Bowl commercials. Lea Alcantara: Right. I definitely think there’s actually a scientific reasoning for this. An American psychologist named Barry Schwartz wrote a book called The Paradox of Choice, and it’s essentially how people get paralyzed when there are too many options left to them and it actually makes people unhappy because there’s too much stimuli so there’s not enough chance to actually reflect and understand exactly why are we even making this choice because just now there’s just too much choice and just doing everything at the same time. Lea Alcantara: I don’t understand why, but I’m just doing it. You know? Sonja Rasula: Right, exactly. It’s like shoppers. Because of the markets that I do, I have seen consumer behavior for the last ten years, and the one thing that I can say with no hesitation is that if given too much choice, they will turn and walk away. Lea Alcantara: Because if there is something they need to know more of, they’ll ask, right? Emily Lewis: So Sonja, do you have any suggestions for exercises or techniques that we can try to build creativity through connection? Sonja Rasula: Yeah, I mean, so it’s interesting because some of them sound just so rudimentary, like having a dinner, having a meal with people where you do not have any sort of phones or devices around. Sonja Rasula: But I think within the workplace, there are definitely some things that people can do, like I mentioned previously kind of the idea of not allowing devices when in meetings, you know? Sonja Rasula: I think that’s a small thing, but it could be huge, and especially depending on the team and whatever one is working on. I think taking the time within agencies or companies to actually unplug is really important. The word “team building,” for some reason, has like a very negative, I don’t know why. I think people tend to think of like self-help and team building is like embarrassing. Sonja Rasula: But the fact is, team building and communication and connection between people who work together and see each other more than they see their families is really important. Sonja Rasula: And so I think deciding to take time outside of the office together is really important, and so whether you’re a team of two or three or whether it’s a whole department, whether you decide to mix departments and intermingle, I don’t think enough people take time outside of the office environment, and I believe that if companies did that more, I understand it might be impossible to do that on a quarterly basis, but maybe if then it is just a meal, but I think that coming up with a way where you are able to provide people a digitally unplugged experience so that people can kind of reconnect with one another in an environment that’s not at work is really, really important for creativity and productivity. Sonja Rasula: And then I think that just analyzing, go through your phone and analyze the setting where you can see how long you’ve been on your apps, and I don’t know if all the listeners out there has decided to look at themselves in that way, but there have definitely been some days where I noticed that I was plugged into Instagram for like eleven hours. Sonja Rasula: It doesn’t mean that I was active on Instagram necessarily, but seeing those things and recognizing them is eye opening, and so even something as small as that was good. Sonja Rasula: And then I hate this because this is funny because it’s utilizing technology, but I think that’s setting alarms on your phone, whether you want to do this on a daily basis or weekly, but something so that you take time for yourself away from your desk. Sonja Rasula: So set an alarm for whatever time of day that you’d like that to be, walk outside, go for 15-minute walks, walk down the street for a coffee, but whatever it is that you do, you consciously decide to leave your phone. So you get that alarm, you get up and you do something outside, I think that’s really important. Emily Lewis: Yeah, and I think that’s one of those things that’s going to help with not just creativity, but everything. Just taking a break away from the desk on a daily basis is good for everybody across the board. Emily Lewis: I also had another idea. [Laughs] It actually uses technology so it’s the situation like Lea and I have where we are a remote company, everyone is distributed so we aren’t in the same city, and so we do have to rely on technology more in order to be connected to each other personally, but I think one of the big things that changed for us that I think helped our partnership, but also helps us because we’re doing it with clients more is we’re really relying on video conferencing more than just Skype or phone calls. Emily Lewis: That we’re really trying to establish the human connection even though it’s through a digital means. Lea Alcantara: So when you do disconnect and then you go through these teambuilding exercises, what communication tips do you have to strengthen those connections? Sonja Rasula: Well, first, I think the number one thing is that everyone gets very comfortable with themselves in like whatever surrounding it is or whatever activity it is that you’re doing, you are going into it fully present and fully comfortable that like you are there, like you need to be committed to it. Sonja Rasula: And then I think the number one thing that I think is important is vulnerability. Sonja Rasula: Well, normally none of the people there would be doing dancing or trust falls, like you’re on the same boat, so I think it’s really important for people to remember that when they are connecting, whether with other peers and employees or being dragged to a brunch by your wife on a weekend with her friends or people that you don’t know, the important thing is to just be open to it and let yourself be vulnerable to the idea of like just be present and relax and have fun. Lea Alcantara: I do think it’s important though that if the agency owners and other founders and CEOs that are listening to this show is fostering an environment that is safe. Lea Alcantara: So that when you do encourage and plan for these types of creative endeavors or team building exercises, that people are open to do it because you’ve made the environment safe enough to do it. Sonja Rasula: Absolutely, and for anyone who is in a leadership role, whether that’s as manager or as a CEO, that role is so important and crucial and hopefully listening to this helps people recognize that within themselves and realize that when you’re a manager and a leader, sometimes the thing that we all forget is that people are looking up to us, and so they’re really looking to you to guide them and to kind of show them about company culture, not just budgets and targets and hitting dates. Sonja Rasula: They’re also looking to you for that feeling of like leadership, really truly in the sense of the word, and so yeah, you absolutely have to not just talk the talk, but walk the walk. Sonja Rasula: And so if you are going to implement no technology or if you are going to have an offsite, you have to 100% be on board with the idea of connecting with people and you can’t make exceptions in any way, especially for yourself. That is what creates terrible company culture, and I see it all the time, which is why a lot of people, a lot of private clients work with us and it’s very eye opening and sad sometimes that they have the best intentions, but they somehow hold themselves not accountable. Sonja Rasula: Or they have the best intentions and want to, “Hey, we’d really like to have you facilitate something. We’re having problems with retention. People are exhausted. There are some interoffice politics that are happening so we want you to help us.” And then what’s sad is that they don’t see their role in it. Sonja Rasula: And so I have that personality of like if things aren’t working right, what can I do to fix them and so everyone should be accountable, and also call people out when they’re not leading in a way that’s really healthy and positive and inspirational to the team. Emily Lewis: Yeah, I agree. That reminds me of a book I just finished reading. It’s called Extreme Ownership, and it really talks about how in order for a team to find success, everyone on that team needs to be accountable and own their part in whether that’s contributing to success or contributing to failure. Emily Lewis: We’re getting near the end of our conversation today, but I did want to make sure to ask you, because at your HOW presentation, one of the things that stood out to me was how you were really calling upon the audience for creative to get more involved in their local communities, but that’s really a way to connect in a very novel way that’s different from your friends, different from family, different from colleagues, but that that too can also help creatives be more creative. Sonja Rasula: Yeah, in general, I love the idea of trying to get more people in the world volunteering and interacting with their communities, and so for me, during that HOW talk, I was really speaking to all of the designers and engineers who are out there to lend their skills to people in the community that can use them. There are so many nonprofits that need help, and unfortunately, the ones that everyone knows about have lots of funding and so they have that help, but there are neighborhood organizations in every single neighborhood out there, and just imagine what could happen if all of the people listening right now decided to donate 20 hours of their time or even like collectively get their peers to all donate, like let’s all create a better website for this nonprofit that is using Comic Sans. Sonja Rasula: Let’s donate our engineering and our visual expertise to really help those agencies and organizations that they’re going to be able to help so many more people, and I think that the idea of that is really exciting to me and just getting everyone to understand that it’s not a lot of time as everyone listening knows, yeah, you can probably whip out a basic but really nice website in however amount of hours that is, but to exponentially help a nonprofit attract more people because of a beautiful and well-functioning website could have so much more impact, and so hopefully, people out there listening will make the choice to do something and get involved with their community. Emily Lewis: Yeah. I also feel like, just from personal experience, when we’ve had an opportunity to work with an organization that “does” good, the work itself feels better. The work itself is connected to, at least in my mind, the people who are going to be helped, and it kind of changes the way the work feels and how I approach the work, and so I think that that’s something that just the very active offering your time to a smaller or a nonprofit or a do good organization can really change the way you approach your work or how you approach even future work. Sonja Rasula: Yeah. I mean, it’s so funny because sitting here just listening to, just now I was thinking, “Yeah.” Like you lending your time and instantly seeing going to whether it’s like a neighborhood school or a nonprofit that’s local, it’s like someone like you would be able to go online and within ten seconds like glaringly see what could be done to their website, but they could stare at it for years and never notice that they don’t have a Donate Now button like right at the top. Lea Alcantara: So as we’re wrapping up, do you have any final advice for those who are listening who want to be more creative and foster more genuine connections? Lea Alcantara: All right, well, that’s all the time we have for today, but before we finish up, we’ve got our rapid fire ten questions, so our listeners can get to know you a bit better. Are you ready, Sonja? Sonja Rasula: Oh my God, this is embarrassing, I don’t do karaoke, but if I did, it would probably be like a Cher song or something. Sonja Rasula: Ah, to not worry about it. Not worry. Sonja Rasula: I worried way too much in my 20s. Sonja Rasula: Oh gosh, I have no idea. Damn? Is that it? Damn, I think. Sonja Rasula: I’m going to go with Wonder Woman. Lea Alcantara: Very nice. What is your favorite time of the year? Sonja Rasula: I love the fall. Sonja Rasula: Oh, I’m completely stumped, that is so hard. I have no idea. I would want to say that it was more accessible, but it is accessible to everyone if they have a computer. Sonja Rasula: Ambitious and creative. Sonja Rasula: Creative and impactful. Sonja Rasula: Oh, too hard because I love all of them. Sonja Rasula: But I guess I would go with breakfast. If I was forced, I would go with breakfast. Sonja Rasula: I just became a coffee drinker. Sonja Rasula: So that’s funny, but I’m saying that. Lea Alcantara: Awesome. Well, that’s all the time we have for today. Thanks for joining the show. Sonja Rasula: Thank you so much. It’s been so fun. Emily Lewis: In case our listeners want to follow up with you, where can they find you online, Sonja? Sonja Rasula: Well, they can go to my website, sonjarasula.com, and on Facebook and Instagram, I’m @sonjarasula. Emily Lewis: This was a really great conversation. Thank you so much for kicking off our 2018 season. Lea Alcantara: CTRL+CLICK is produced by Bright Umbrella, a web services agency invested in education and social good. Today’s podcast would not be possible without the support of this episode’s sponsors! Many thanks to Foster Made and the Performance Matters Conference! Emily Lewis: We’d also like to thank our hosting partners: Arcustech. Emily Lewis: Don’t forget to tune in to our next episode when we’ll talk with Jason Nakai about practical accessibility. Be sure to check out ctrlclickcast.com/schedule for more upcoming topics.